When it comes to the maintenance of your green spaces, it is a good idea to make a clear distinction between the gardening scissors and the gardening shears. Gardening shears are one of the most important tools for gardeners and landscapers. The shears can easily cut branches, dry leaves, and help you beautify the aspect of your garden. Having a good pair of shears is important both for cutting the plants with precision and for having a long lasting and reliable tool. Although this type of cutting tool might seem easy to choose, the truth is that there are many features and characteristics you should consider before deciding what shears to buy. Let’s see what to look for and what are the best gardening shears available on the market. Gardening shears, also known as gardening pruners, are sharp cutting tools designed to cut any type of plant with precision. The shears are made of two short yet sturdy blades and a handle that must be held with the whole hand in order to exert a sufficient force to shred efficiently the shrubs and the larger branches. The shears’ handles are usually ergonomic and present spaces that allow users to adjust their fingers comfortably. This is an important characteristic of the shears, as moving the two handles is usually tricky and the action requires a great effort. An effort must also be made to cut the shrubs and branches, and for this reason, you should learn how to handle the shears effectively to ensure a precise cut. Besides the blades and handles, the shears are also provided with a spring, fixed between the handles in the proximity of the blades. The spring has the task of reducing the workload of the hand when cutting, reducing in this way the stress on the wrist. The handles are usually coated with non-slip rubber and the head of the shears is usually angled. These characteristics are important to ensure a good grip and to help gardeners maintain their hands in a natural position during cutting. On the market, there are different models and sizes of gardening shears, that have different ty﻿pes of cuts, various functions, and also different price ranges. In technical terms, the gardening shears can be bypass, ratchet, anvil, precision, or multipurpose tools. Regardless of what type of shears you need, make sure to always pay attention to the ergonomics of the tool you want to buy. In fact, on the market, there is available the so-called type of ergonomic shears that are designed to reduce the stress on the hand muscles and joints. If your garden has many shrubs, bushes, and trees, then you could even consider an electric or pneumatic shears. Designed to optimize pruning, these tools are extremely effective and really easy to use. Since the most popular types of shears are the bypass, anvil and ratchet models, let’s see a brief description of each of them. Bypass shears: are suitable for cutting green wood. The cut is clean and on young branches, these shears offer an accurate cut thanks to the curved blades. Anvil shears: rather than two blades have a single blade that cuts back on an anvil. This model is perfect for trimming dry branches or shrubs with hard wood. Ratchet shears: are very similar to the anvil but they are more versatile. The ratchet pruners have been designed specifically for the most complex cuts. In fact, the design of the blade allows the user to make multiple cuts at the same moment, rather than a single cut at a time. Thanks to this feature, the ratchet shears are mostly preferred by those who don’t have enough power in the hands. Gardening shears are common tools indispensable for those who want to maintain the aspect of their gardens. As we already mentioned, there are many models available on the market, but only the best brands stand out in terms of effectiveness. Effectiveness is a key requirement for professionals, and even if you’re only an amateur gardener, you should still choose an effective tool if you want to improve your gardening performances. For this reason, the quality of the construction and the choice of materials should be a decisive factor in the choice of the shears. Remember that not all shears provide the desired reliability and durability, two decisive factors for those who use them often. In order to understand the effectiveness, you should evaluate a few aspects such as the quality of the make, the type of steel used for the blades and the ease of use. Another thing to consider when measuring effectiveness is the ease of finding compatible components or spare parts. Shears don’t need excessive maintenance yet it could sometimes be handy to have a tool that is easy to repair. Finally, the blades are the most fundamental part you should consider when measuring the effectiveness of your tool. The blades must be really sharp to ensure a fast and precise cut. You should not settle for anything less than excellent and, even if high-quality shears have higher prices, it is recommended to invest in them. The blades should also be coated with a non-stick and anti-rust coating, two treatments that will maintain the performance of your tool. You should choose the type of shears based on the characteristics of your garden. If you have a small vegetable garden or a lawn with just a few flowers, then a classic type of shears should be more than enough. On the contrary, if you have a garden full of shrubs and trees or other plants difficult to reach, you might want to consider a model with a telescopic arm. The advantage of these models is that you will be able to trim the shrubs and trees without having to climb up a ladder. If you decide to invest in shears with a telescopic arm, make sure that the arm’s length is adjustable at the desired level. In other words, you should be able to reach the desired height with ease, otherwise, it is better to choose regular shears and use a ladder to trim the tall branches. If you have an orchard, know that there are some models of shears that have a special jaw designed to harvest the fruits and hold them. In this way, your fruits will not be ruined anymore by harsh falls on the ground. Regardless of the type you choose, make sure that the model has a tilting head on both sides and that it is versatile enough to allow you to cut and trim in any position. Lastly, another key element you should check before buying a shear is the handle of the tool. The model you choose should be ergonomic and equipped with a non-slip handle that ensures a better and safer grip. Especially if you have to use the shears for long periods of time, make sure that you will not have to hold the tool in awkward positions, as this will prove to be impossible in the long run. Felco is a Swiss company specialized in the production of highly effective shears, the manufacturer also producing spare parts such as springs, screws, and handles. One of the most popular models of the company is Felco F-2, a model designed for professional use and loved by those who want to achieve maximum performance. Felco F-2 is extremely reliable and comfortable to use, thanks to the lightweight yet solid handle. The blade is really sharp and ensures precise cuts every time. This tool is perfect for easy and durable cutting adjustments, ensuring maximum efficiency while the anti-slip cover ensures a comfortable grip. Moreover, the handle is ergonomic and shock-absorbing, providing an accurate protection to the hand. Sharp blade: ensures a precise cut thanks to the steel cut back control. Ergonomic: the shears can be used without applying too much stress on the hand and the wrist. Professional: This model is designed for professional use, so it might be ideal if you are looking for a really effective tool to help you with the work. The blade is sometimes hard to clean because the shears are hard to maintain opened and the extremely sharp blade can easily cut through your skin. The advantageous value for money is one of the main benefits of these shears, ideal for those who have to perform small jobs in the garden but do not want to spend too much. The Crenova SH-01 shears are easy to use even by the less experienced people, and as most users confess, they are comfortable even after prolonged use. The ergonomic and non-slip handle facilitates even more cutting operations. The quality of the materials used, especially the tempered steel of the blade, makes them solid, durable and able to cut sprigs, flowers, and fruits in a clean manner thanks to the always sharp blade. Thanks to the mix of solidity and comfort, these shears are among the best-selling models on the market. The blades are safe and durable because after each use they lock, while the automatic groove cleaning prevents them from rusting. Practicality: the shears can also be used by unqualified hands, ideal if you are approaching gardening now and do not know exactly which cutting instruments to choose. Materials: the steel blade is particularly solid, a good surprise given the really affordable price at which you can buy these scissors. Safe: in addition to being durable, the blades are also safe. In fact, they lock after each use, so you can keep your fingers safe and have a good security every time you handle them. Although the handle is ergonomic, many users have found it uncomfortable to use this tool for a long time. If you want to choose a really good pair of shears at an unbeatable price, our advice is to carefully evaluate the tools produced by the German company Wolf-Garten. Despite the affordable cost, the performance offered is excellent: the shears are complete and have everything you need to perform all types of small gardening work effectively. The blades of these shears are made of professional grade premium aluminum that provides a powerful cut while the integrated spring prevents them from being lost during work. Thanks to the non-stick coating on the blades which reduces the required force, the cut is more comfortable and, moreover, it keeps the blades clean. The thumb support on the handle improves the comfort and safety. The locking device is designed to be used both with the right hand and with the left. 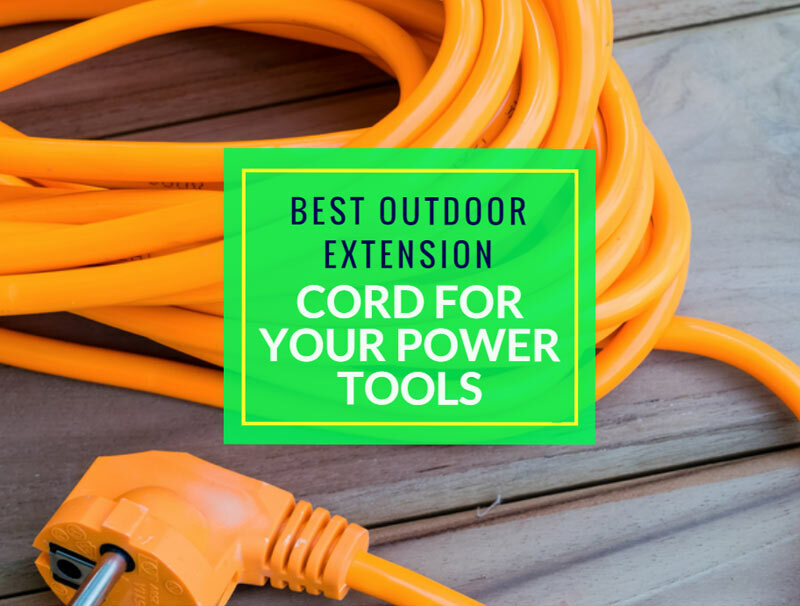 Affordable: if you just don’t feel like spending too much to buy a new gardening tool, this may be the right model for you. Performance: the shears are economical but of high quality. They guarantee good performance in all gardening tasks, from occasional to professional use. Blades: the shear cuts effectively thanks to the professional grade premium aluminum. In addition, the non-stick coating protects the blades from corrosive elements. These scissors are designed for professional use, yet they are not suitable to cut large shrubs and trees because of the small cut. Lightweight and durable, the Fiskars traditional bypass pruning shears are ideal for cutting thin branches and shrubs and are really popular among those who are searching a great gardening tool suitable for beginners. The special mechanism of the handle increases the cutting power and simplifies the pruning operations. The rotation of the handle ensures that all fingers are used at the same time, exercising uniform pressure to achieve maximum power with less fatigue. The upper blade is made of extra hard steel and corrosion resistant. Furthermore, the self-cleaning sap groove prevents the blade from sticking. Self-cleaning: keeping the blades clean and non-sticky is really easy thanks to the convenient self-cleaning sap groove. The blades are also coated with a non-stick coating. Non-slip: handling this tool is easy regardless of the position, mainly because of the convenient non-slip grips designed to provide maximum comfort. Warranty: the blades are made of high-quality steel that is guaranteed for life. The spring doesn’t seem to be strong enough to open the shears after the cut, therefore gardeners might need to use a little more power when pruning. If you are looking for a pair of shears able to offer a fluid and effortless cutting system, then maybe the Grüntek Garden Pruning Shears Falke Sk5 are the ones you are looking for. The upper blade of this high-quality gardening tool is made of 48mm Japanese steel, coated with Teflon. Thanks to this characteristic, the tool’s blade is non-stick and easy to maintain. The particular design of the blades, on the other hand, ensures maximum cutting precision. On the other hand, the lower blade is made of chromium carbon steel. The ergonomic aluminum handles are PVC-coated, revealing to be comfortable and non-slip. The tool is designed for easy grip and comfortable operation. Coating: the Teflon coating provides an excellent protection to the blades, keeping them clean and easy to maintain. SK5 Steel: characterized by a sharp and precise cut, the blades of this tool are made of SK5 Japanese steel. Wide cut: the shears are designed for professional use and are characterized by a wide cut that can handle most types of branches and shrubs. Although the handles are ergonomic and really easy to hold, they are not fitted with a non-slip grip and are rather slippery because of the polished finish. In our opinion, the best gardening shears available on the market is the Felco F-2. The Swiss quality can be easily noticed on this tool. This pruner provides excellent results and it is suitable for both professional and residential use. Apart from being reliable, the shears are also very comfortable. This model is lightweight, while the tool’s handles are designed for an easy grip. To all these features adds up the fact that the manufacturer produces all the necessary spare parts, therefore if you need any replacement it will be really easy to find it. For these reasons, the Felco F-2 gardening shears are probably the best you could buy.